The case hinged on behavioral loss ratio rebate calculations. (Bloomberg) — Todd Farha, the former chief executive officer of WellCare Health Plans Inc. (NYSE:WCG)<span >, was sentenced to three years in prison in connection with a government health program fraud case. Farha was sentenced Tuesday in federal court in Tampa, Fla. At a trial held in 2013, federal prosecutors accused WellCare of falsely inflating behavioral health expenses for state Medicaid recipients. That move helped WellCare keep unused premiums rather than refunding the premiums to the agency administering the program, prosecutors said. Farha faced a maximum of 10 years in prison for health-care fraud. U.S. District Judge James Moody, who sentenced Farha, “recognized the complex circumstances of this case and the true character of the people involved,” defense attorney Barry Boss said in an e-mailed statement. 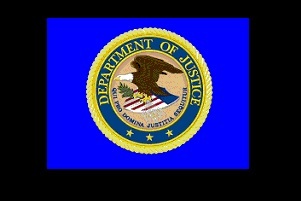 The U.S. Department of Justice has stepped up its effort to hold the managers of programs that cheat the federal government accountable, Lanny Breuer, then chief of the criminal division, said in a 2012 speech. Farha was convicted along with three other ex-WellCare executives. Evidence showed that from 2003 to 2007, WellCare failed to pay the state $40 million in refunds, according to prosecutors. Under Florida law, Wellcare and other health maintenance organizations were required to spend 80 percent of Medicaid premiums for certain behavioral services or return some of the money to a state administrator. In 2009, WellCare settled U.S. criminal charges and agreed to pay more than $200 million in forfeiture, restitution and civil penalties, according to prosecutors. The case is U.S. v. Farha, 11-cr-00115, U.S. District Court, Middle District of Florida (Tampa).